We're in the middle of our latest geography unit called, Our World Around Us and I am LOVING all of the learning activities that go along with it. Students are currently working on learning some basic landforms. We had created landform models with Crayola's Model Magic and I realized we needed to wait 72 hours for them to fully dry before we could color them! So, last night I frantically searched for an activity to fill the time while we waited a few more days. I'm always looking for more ways to get more, authentic use of our iPads in the classroom. Which is why I LOVED this idea. 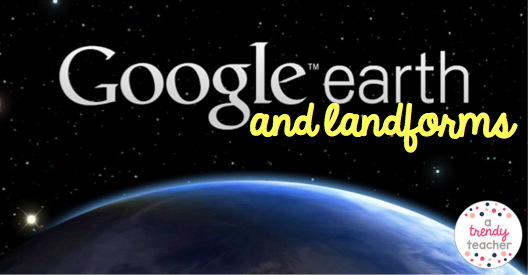 Students used the Google Earth app to locate landforms on the globe. First thing's first, I did a quick demo on how to use the app and how to find different landforms. Some of my kids even had the idea to search "Mount Everest" to locate a mountain or "Florida" to find a peninsula. 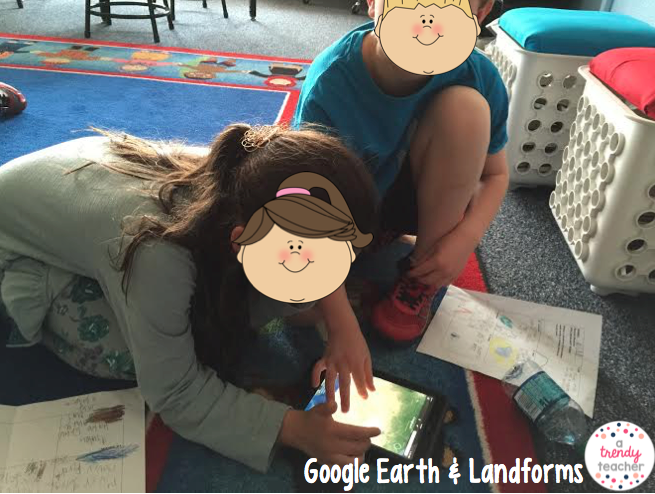 When the kids found landforms they used the iPads to take a screenshot. After the kids had 5-8 landform pictures we started on the next step, importing the pictures into a FREE APP called Flipgram. I love Flipgram because it's FREE and super easy for the kids to use. Also, you don't have to have an account. But, I made a teacher account so that I could email the videos to myself so that I could share them on our class blog. Click Here for some more information on using Flipgram in the classroom. Let's be honest, I was familiar with Flipgram because I use it for my own Instagram account - but I wanted some more information on using it in the classroom. My students spent about 15-20 minutes searching on Google Earth for landforms and then another 10 minutes to create the presentation with Flipgram. And finally, here's the finished product! To view the rest of our projects, check out my classroom blog - 2ndWithStrunk.